But they do prepare a letter to Trump offering to increase spending on border security, but not a wall, if the president agrees to reopen the government first. 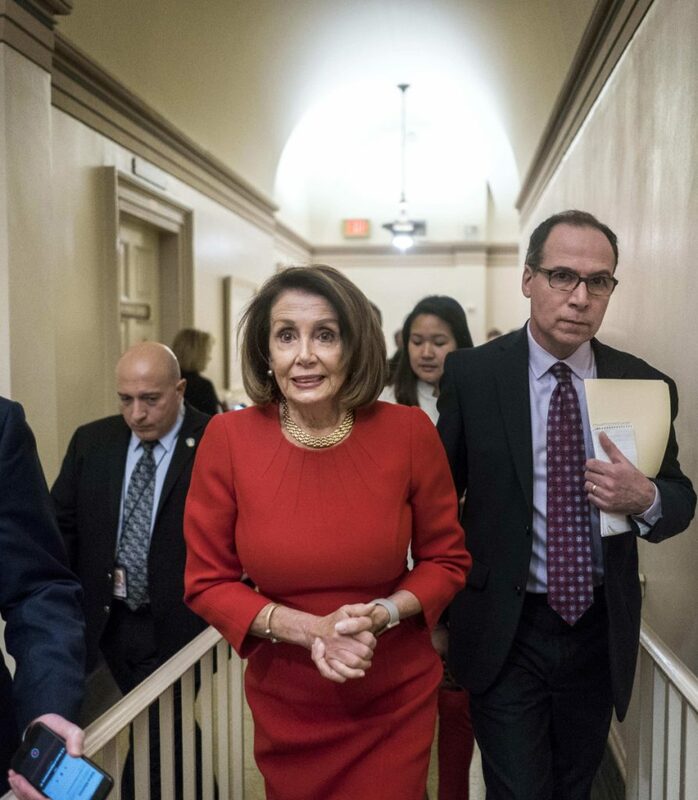 WASHINGTON — House Democrats are prepared to support increased spending on border security, but not a wall, if President Trump agrees to reopen the government first, lawmakers and aides said Wednesday. 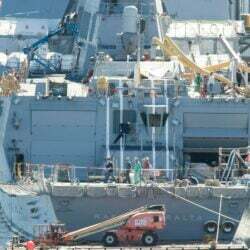 The proposal, which Democrats are drafting into a formal letter to Trump, will include border security improvements such as retrofitting ports of entry, new sensors and drones, more immigration judges and border patrol agents, and additional technology, among other measures. The letter was not final and the exact figure Democrats will suggest was not yet determined, but lawmakers and aides said it would be higher than the levels Democrats have supported in the past, which have ranged from $1.3 billion to $1.6 billion. Some Democrats suggested they would even be willing to meet Trump’s request for $5.7 billion – as long as it goes for technology and other improvements, not the physical wall the president is seeking. “If you look at all of the things that we’re proposing – more judges, more border patrol, this new technology – these are the kinds of things that we are gong to be putting forward, and I think that they can be done using the figure that the president has put on the table,” House Majority Whip James Clyburn, D-S.C., told reporters Wednesday. “If his $5.7 billion is about border security, then we see ourselves fulfilling that request, only doing it through what I like to call using a ‘smart wall,'” Clyburn said. The development indicated a new desire on the part of House Democrats to discuss the types of border security measures they support, instead of just standing in opposition to Trump’s wall. It comes on Day 33 of the partial government shutdown as Trump and congressional Democrats remain at loggerheads over his demand for $5.7 billion to build more than 200 miles of new walls along the U.S.-Mexico border. The House has been passing bills all month that would reopen the government without funding the wall, and Democrats plan to do so again later this week. Some members reported pleas for help from constituents who’ve been hurt by the shutdown. Still, the House Democratic caucus has largely remained unified behind Speaker Nancy Pelosi, D-Calif., throughout the shutdown, although there have been isolated expressions of anxiety about Pelosi’s strategy of refusing to negotiate until the government is reopened. Speaking on KFGO radio in Fargo, North Dakota, on Tuesday, moderate Rep. Collin Peterson, D-Minn., said that Democrats should “Give Trump the money” and bring the shutdown to an end. Peterson’s view was a distinct minority, with other House Democrats agreeing the government needed to reopen before further negotiations could take place.